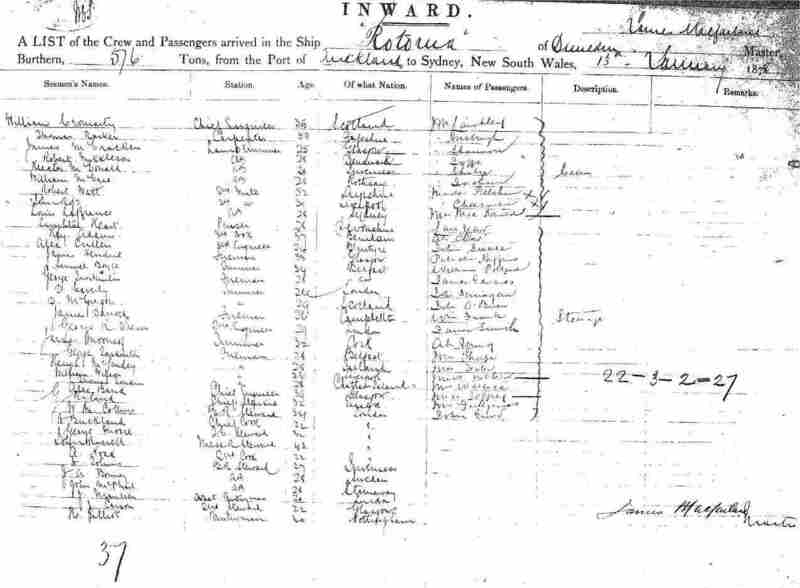 Source: State Records Authority of New South Wales: Shipping Master's Office; CGS 13278, Passengers Arriving 1855 - 1922; X138-139, SR Reel 436, 1877. Transcribed by Tamea Willcocks, 2003. Modifications made to scans: In some instances, text was enhanced - there was still an occasional name or list which defied this effort to read it; the MASTER's signatures are usually found at the bottom right corner of the page; some pages have been shortened; excessive black markings have been removed. The last two mods. were to enable the fastest possible display in your browser.